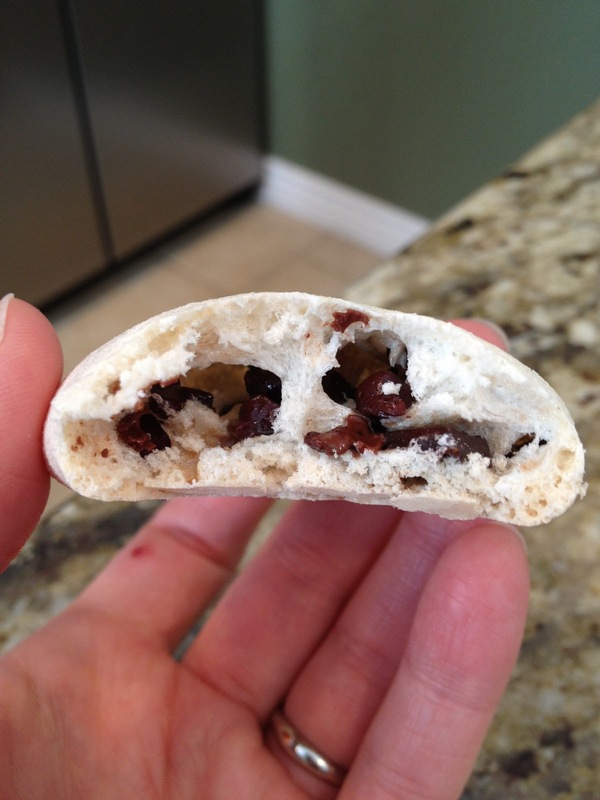 I have no idea where this cookie recipe came from, I only know that it was one of my favorite childhood treats. And they are the easiest cookies in the world to make. And they only require a few ingredients. 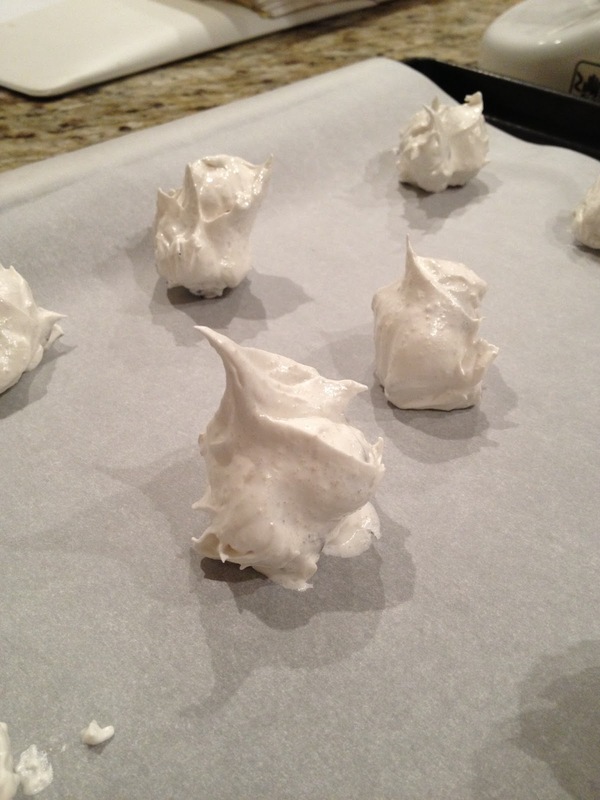 AND, they are the best meringue cookies in the world. 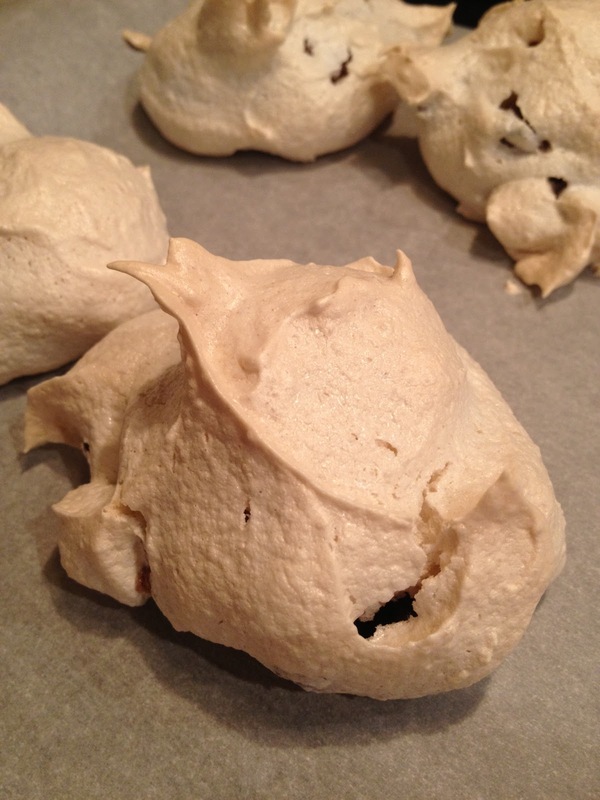 Oftentimes, store-bought meringue cookies are too hard or they're tender but turn to dust (and sometimes chalky dust) when you bite into them. These are tender, yes. They crumble/shatter when you bite into them. But rather than turning to dust, what's left is this chewy, light, amazing cookie. They're not too sweet, because the chocolate chips add a teensy hint of bitterness. And they're only about 70 calories per cookie! Fold in 1 c. chocolate chips. 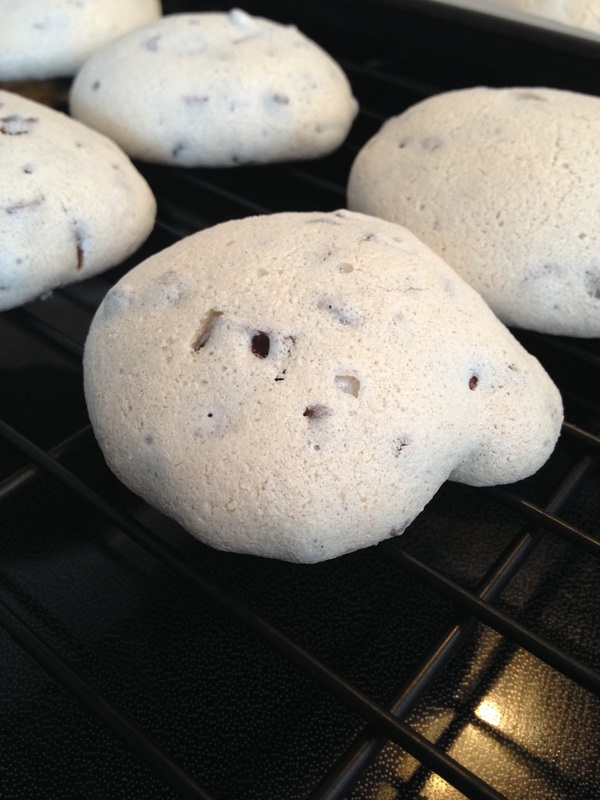 Spoon onto parchment paper-lined baking pan and bake at 325 for 20-25 minutes. Allow to cool on pan for 5 minutes before removing to cooling rack. Best no more than 2 days after baking. 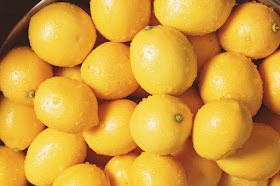 In those pictures above, I had used the organic sugar I always use, which has crystals that I think are slightly larger than regular granulated sugar. It seemed really noticeable to me, so I made a second batch using that sugar after running it through the food processor to make my own "superfine" sugar. I also used 1/4 tsp peppermint extract and 1/4 tsp vanilla extract, rather than all vanilla. Oh, and I used mini chocolate chips, just to see how that would turn out. For reasons that I'm still not clear on, the batter didn't get to the "peak" point that it should. The cookies were kind of flat. 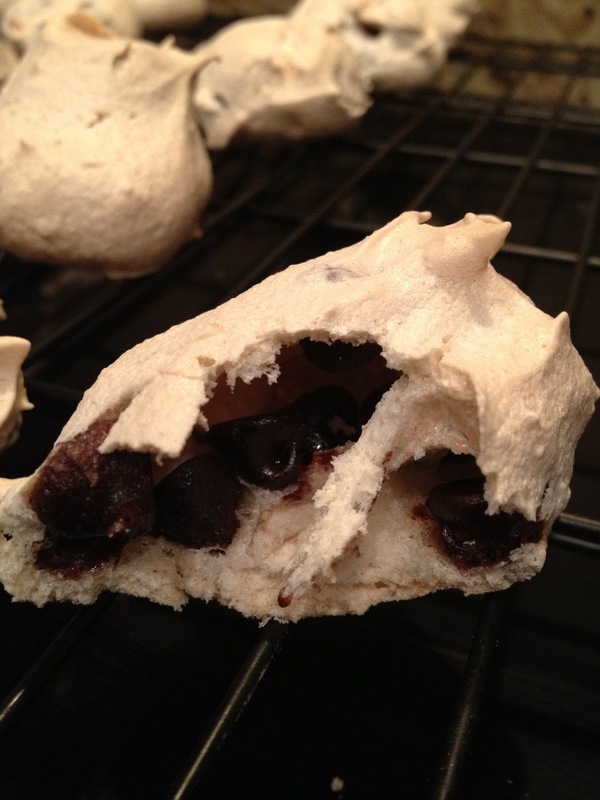 But they still had that marvelous texture and lots of chewy caves inside. And we all liked the mini chocolate chips better, more even distribution, I guess. TGIP Rating--Snowcaps--KEEPER of course. Already an old reliable. Next up: Honey Banana Poppy Seed Bread. Another Baked Sunday Mornings project. I had THE hardest time making these last Christmas. Not only was my batter not getting stiff peaks, it would get close and then flop. After discussing it with Mom over the phone we decided that the oily mint extract I was using was the culprit. When I went with the cheaper (non-organic, non-oil-based) extract it worked better. I had no problems with using vanilla only, but they obviously didn't taste as good. I think I like your idea of doing half vanilla, half mint. That will help cut down the oily peak-killer. Bill, I've had problems baking with organic oil-based extracts in other ways. 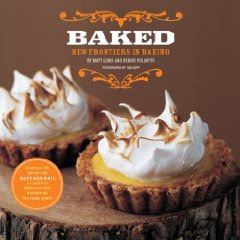 I've just had to decide that is one ingredient I have to use conventional in order to get the baking results I expect.